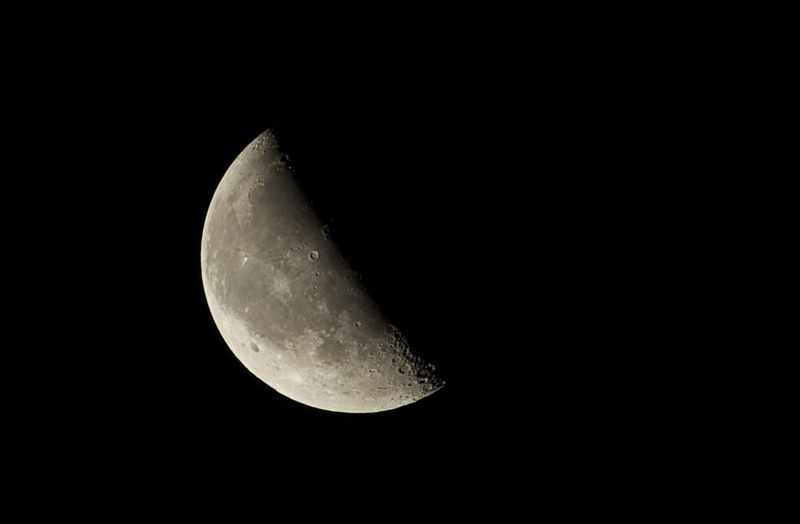 I made this image of the waning quarter moon (47.3% illumination) with 26 individual frames taken on January 24, 2013 at 5:45am. 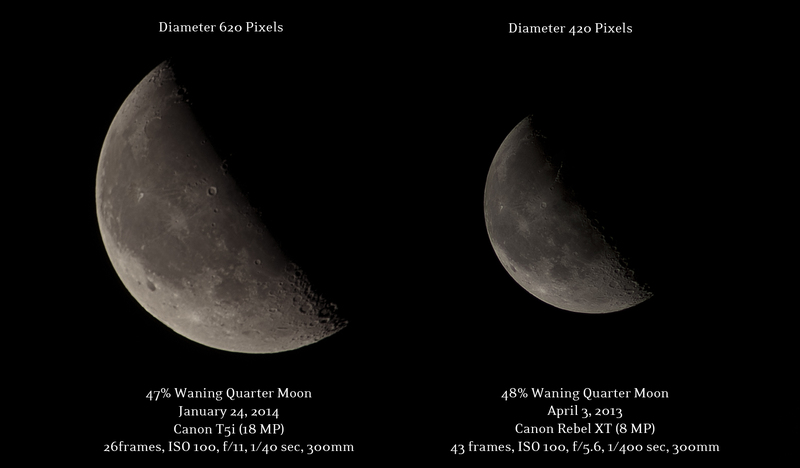 I converted RAW files to cropped TIF tiles and stacked them in Registax to reduce noise. I finished it off with a High Pass overlay layer in Photoshop to bring out some highlights. Both of these photos above were taken with the same Canon EF 75-300 III F4-5.6 telephoto lens, and now I'm wondering if that's the limiting factor in my moon photo sharpness? Maybe this is as sharp as this glass gets, and more megapixels will make the moon larger but not necessarily be able to scale up the sharpness?